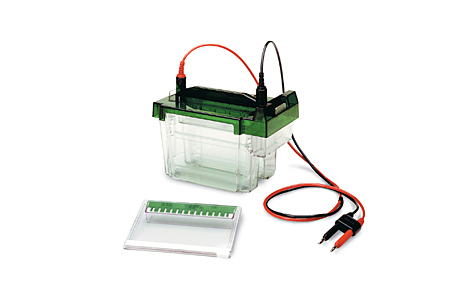 Electrophoresis cells and precast polyacrylamide gels are offered for high-resolution separation of nucleic acids in mini and midi formats. The gels are available in different sizes and buffer formulations. The Criterion™ cell is designed to run 1–2 midi handcast or precast gels. A range of precast polyacrylamide gels is available in different buffer formulations for a variety of nucleic acid applications.